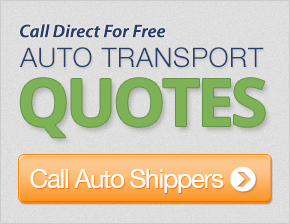 Car shipping is definitely a service to consider if your vehicle needs to be moved across country. Due to the fact that your vehicle is likely one of the few things of great value that you own, you will want to make sure that your vehicle is properly prepared for shipment. Use the tips outlined below to help prepare your car for shipping. How Far In Advance Should You Plan Car Transport? It's important to understand that most car transport companies will have a weekly or bi-weekly schedule in your area. Therefore, if you have a specific date you need to ship your car, you should plan far in advance to ensure the car carrier can transport your vehicle when you need it. The general rule with car transport, is to find a auto transport company as soon as you know you'll be shipping, so you can ask about pricing and schedules. The earlier you begin your search, the more likely you are to be able to find the best car transport service to suit your needs. In order to ensure that your vehicle is transported safely, here are some auto transport tips you will need to prepare it for the journey. You may be thinking that washing your car or truck when it is about to travel through dust on open roads is the last thing that you want to do, but washing your car is an important part of the car transport process. Doing so will ensure that you can correctly complete the vehicle condition report, so that any damage which occurs during the car shipment process can be rectified. To prepare the engine for car shipment, you need to make sure that you disconnect the battery and check the oil levels in the vehicle. Although it will not be driven on the road, it’s important to ensure that everything is in working order so that no damage can occur to your car or engine from the movement of the trailer. You may also need to drain the oil, if requested by the shipper, and always be sure to properly inflate your tires. Empty the gas tank until there is no more than a fifth of a tank left. Any more can add additional weight to the transport truck, which increases the truck's burden and costs you more. If you're shipping a car during winter, ask the car transport company whether you need to top off your antifreeze prior to shipment to avoid engine damage. One simple thing you must do for car shipment is remove all your personal effects. This is because you are not insured for any loss or damage to items within your vehicle during the car transport process. It's better to be safe, so take everything out. If the vehicle has any accessories, such as spot lights or antennas which could get damaged, remove these prior to your car shipment. Have your inspection report filled out detailing the condition of your vehicle and your automobile's current mileage. Make sure to itemize all the scratches, dents, cracks in the glass, and the overall general paint condition. You may also want to consider taking photos with dates to use as evidence in the event that damage occurs during transit. Your driver should review your inspection report and make notes of his own, providing his signature along side of yours. Keep a copy of this report as evidence. When scheduling your pick-up time with the auto transport driver, make sure that you have a definite time and location scheduled for the exchange. The truck trailers are not easy to manipulate through the average neighborhoods. If the driver asks you to meet him at a nearby location, don’t argue - it may be illegal for him or her to pick-up your vehicle from your residence. If you’re late meeting the truck, you're delaying your own pick-up as well as other pick-ups and deliveries the driver has scheduled. Check your car over. Look for any damage that wasn’t documented on your original inspection. Double check your roof and undercarriage for damage that may have occurred while loading or unloading your vehicle. If you automobile arrives after dark, you may want to consider rescheduling your delivery for the following day to properly inspect it during daylight. If new damage is present to your vehicle, you will need to note it in your inspection, have the driver sign off on it, and file a claim through the driver’s insurance. If the driver disputes the claim or doesn't carry shipping insurance, get his or her identification and contact your lawyer, the FMCSA, and the BBB.